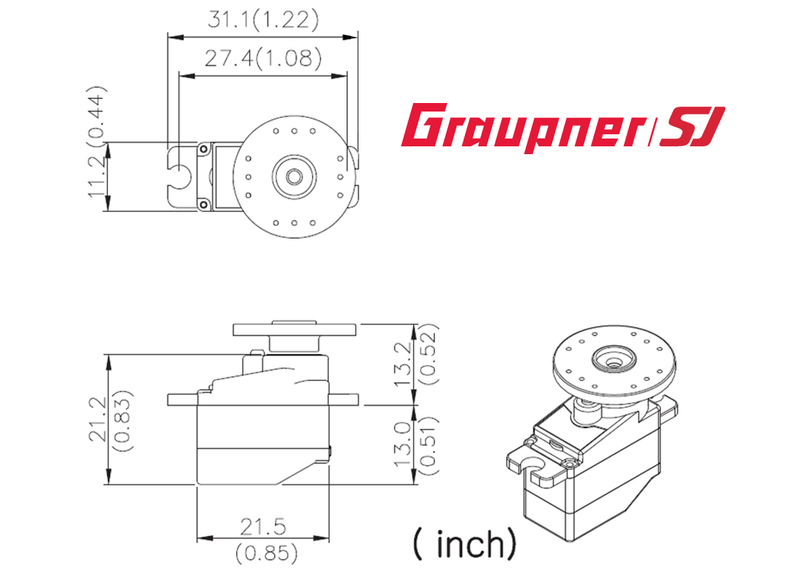 Designed with precision components for durability and long-life operations, the Graupner DES 271 BB Digital Micro-Servo delivers maximum torque and speed with minimum weight. Don’t be fooled by the small size: you will be surprised with the precision, torque and speed the DES 271 BB can deliver, making it the perfect choice for indoor, outdoor and park flyer models. The DES 271 BB can be specially programmed to meet all your needs via the free Graupner Servo Setup Software.